Are you searching beautiful beach resort in Kerala? 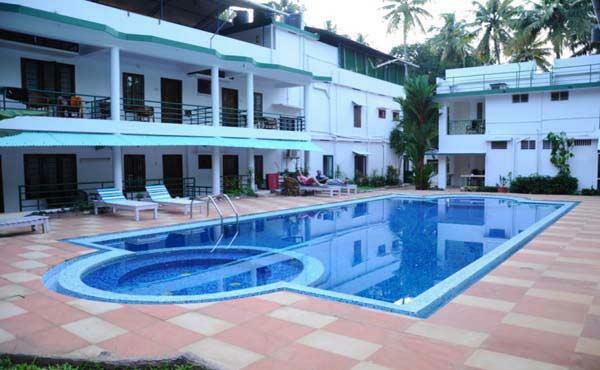 Raja Park Beach Resort is a perfect hotel for you which is located in Kerala. It has outstanding services and excellent facilities. Read here about facilities, features, services and contact details in Raja Park Beach Resort. In Raja Park Beach resort we included with many facilities and services for customers convenience like evening parties, birthday parties venue in poolside with beach umbrella services for refreshing view and to make relaxing. For customers convenience in case of any disorders for health there is an emergency doctor's facility is also available as doctor on call services. Cultural shows are also held in Raja Park Beach resort on request of customers. In case of Power cut problems there is a standby generator is available in order to avoid inconvenience to customers. In addition to that car parking facilities also available whereas travel desk also available to enjoy the places in Kerala guides also arranged by Raja Park Beach resort. Many features with restaurant with highly delicious foods with great in quality as 3 class style. Swimming pool is also available to keep us always refreshingly and soothing effect of yoga also experienced here. Other facilities which are available in Palm shore are fitness Center, conference rooms, Forex, banquet hall; room services are also available in int. Most important is that the whole Raja Park Beach resort is availed with WI-FI facility. In addition to this many features available with it compared with other resorts. Here it is Multi Cuisine Restaurant and Raja Park Beach resort services are a choice for snacks and beverages, those are very delicious for customer who prefer for Raja Park Beach resort 3 Star Hotel. In Raja Park everything is preferable and nothing is avoidable to customers. The simple thing to say is all about to enjoy and Get relaxed with Raja Park Beach resort. Both the South Indian, continental Food items are also available in the Raja Park Beach resort. There are many tourist spots nearer to Raja Park Beach resort some of them are Light house beach, Thiruvallom Backwater, Samudra Beach and Valiyathura Pier Sea Port are the most familiar tourist spots around Raja Park Beach resort these spots give you immense pleasure to enjoy with both family and friends. This is an Eco - green assured and experience a peaceful atmosphere overall and this is the must visit place when we check in to our "Gods Native Place". Raja Park Beach resort accepts AMEX, MASTERCARD, and VISA. Raja Park Beach resort its gives an immense pleasure for guest to avail with whatever they need in advance and it is the good choice for trekkers and tourist to check in.